Bringing pediatric specialist care to places where access to advanced medical care for children otherwise doesn’t exist is the core of World Pediatric Project’s humanitarian outreach to its 12 partner countries in the Caribbean and Central America. WPP’s International Teams program mobilizes dozens of pediatric diagnostic and surgery specialist teams each year covering most every pediatric sub-specialty need in these countries. Annually, more than 2,000 children receive diagnostic or surgical care in this highly efficient program, reaching children in their home countries or regions. In 2017/2018, 49 teams will be sent to WPP partner countries. 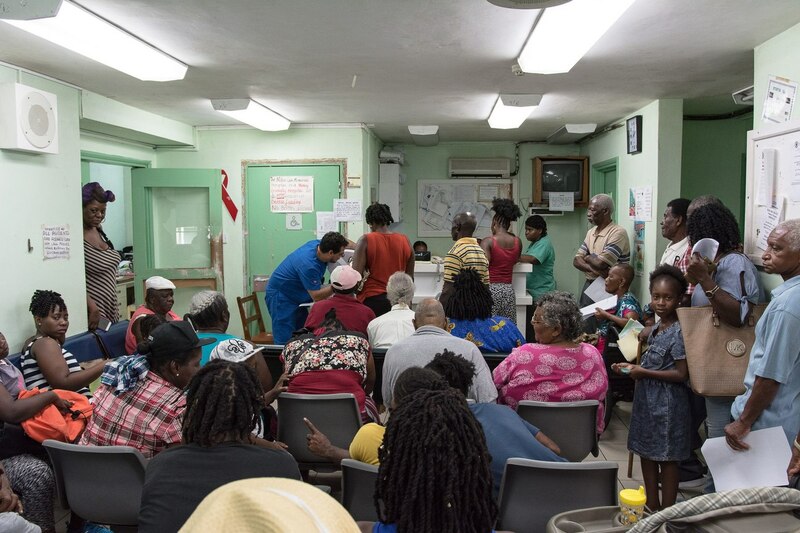 Patients wait to be see during clinic at WPP's June Neurosurgery mission to St. Vincent. 66 patients from six different countries were seen during clinic day. Some teams will start their week in country seeing more than 100 children.